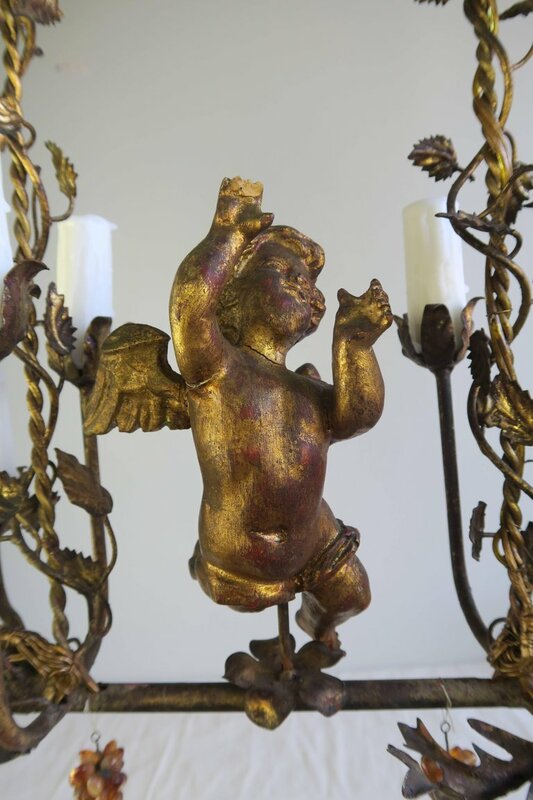 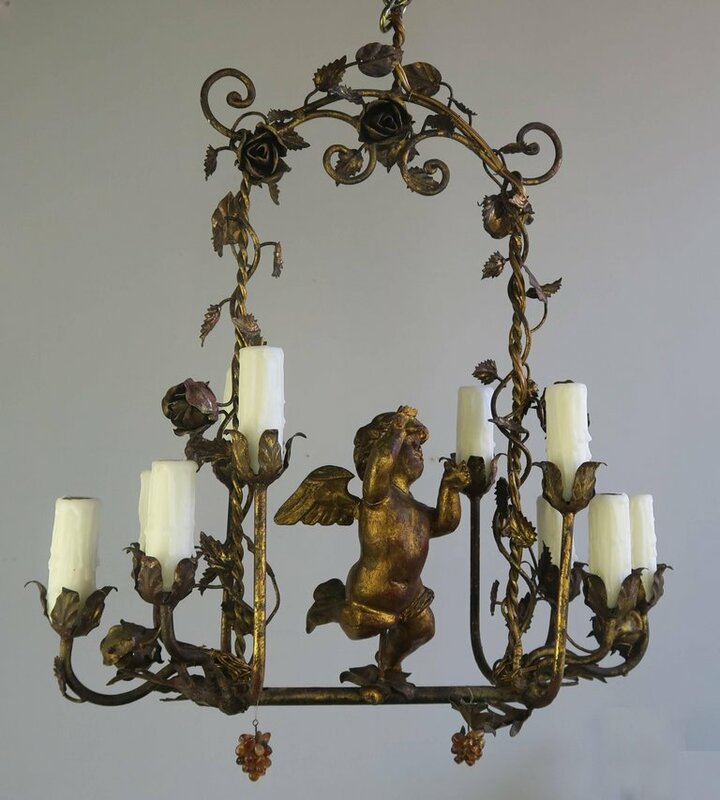 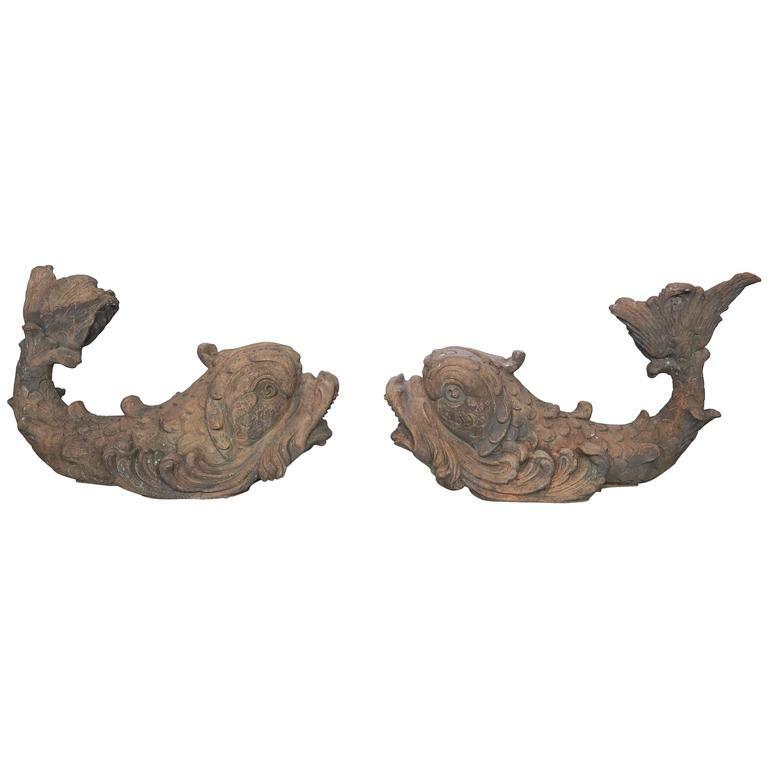 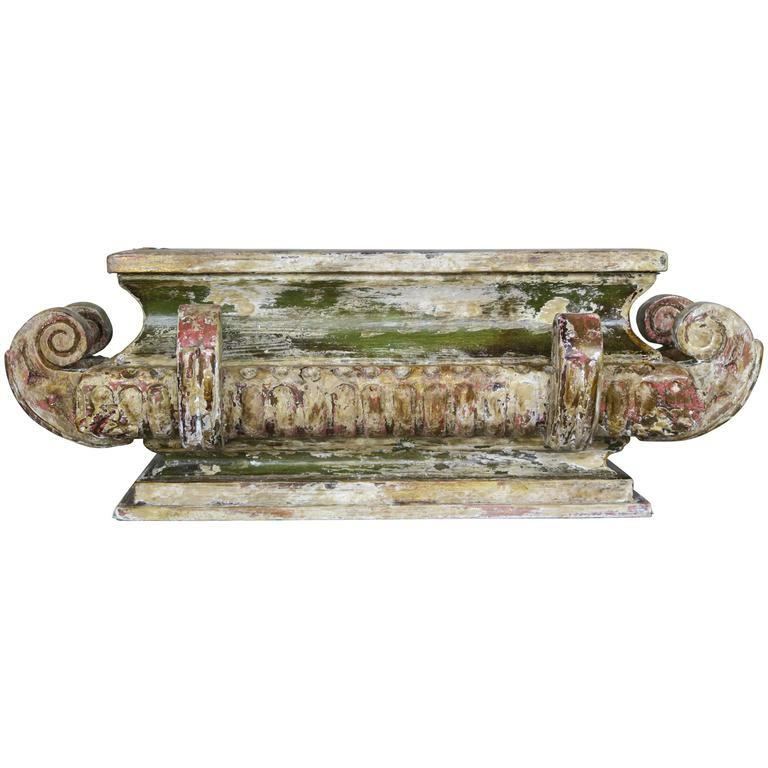 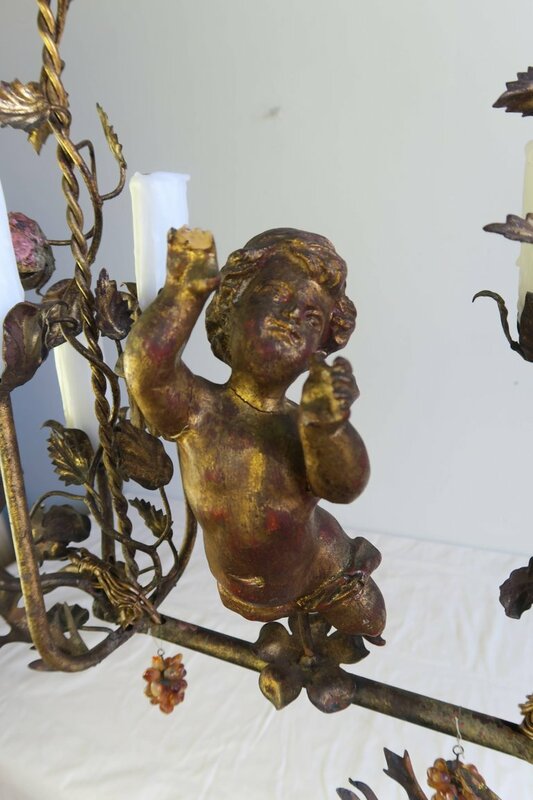 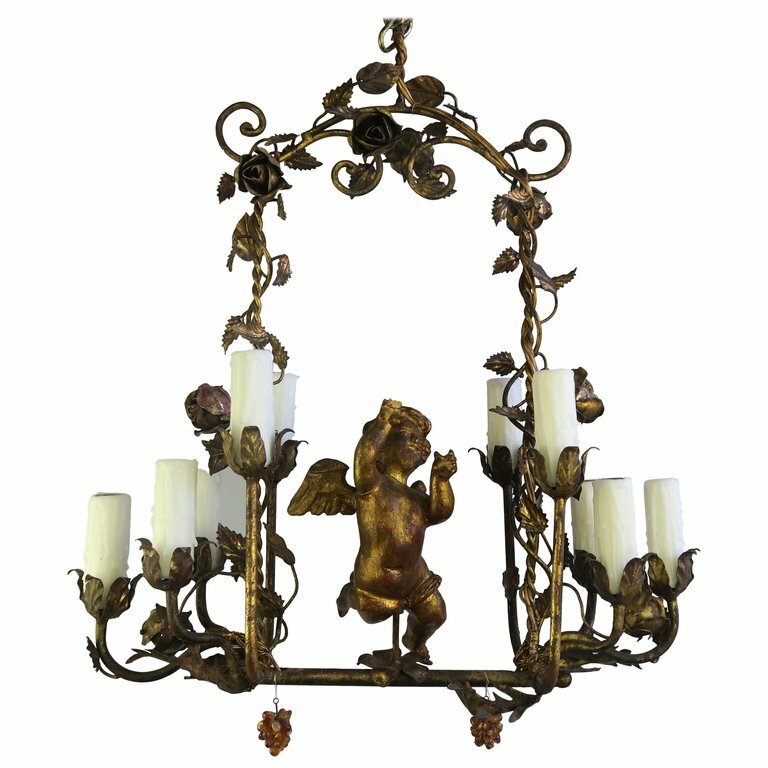 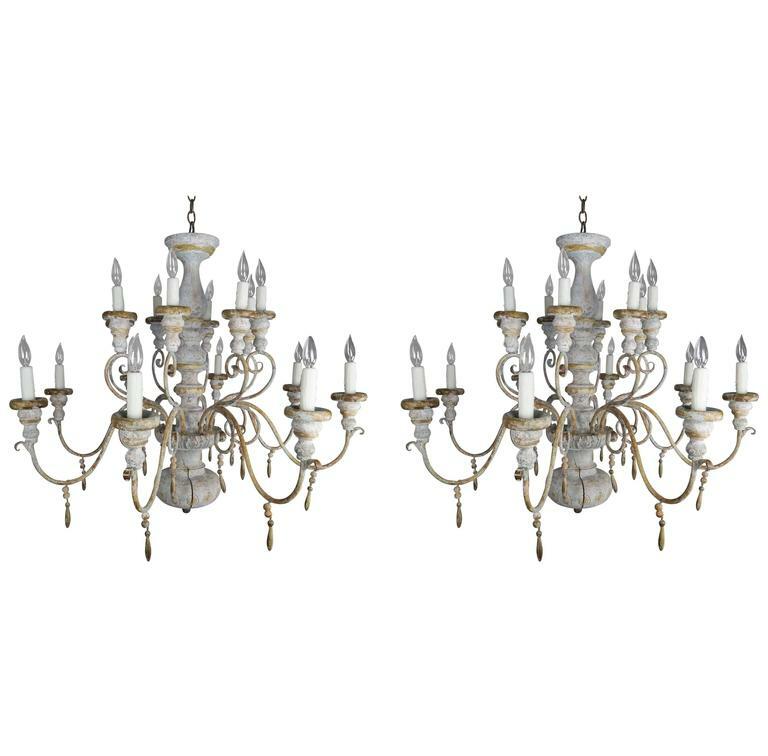 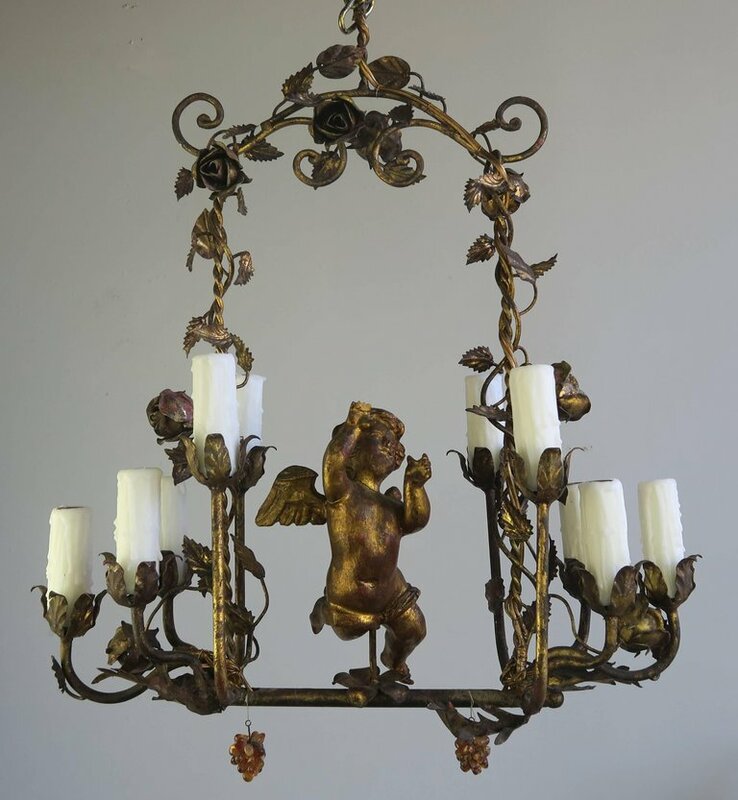 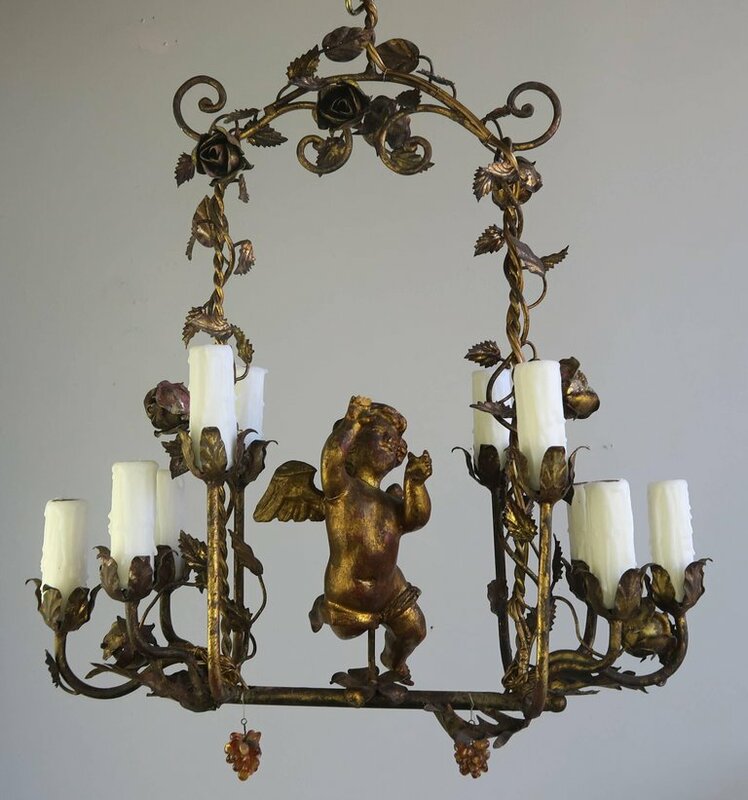 Unique Italian gilt wood and metal cherub ten light chandelier. 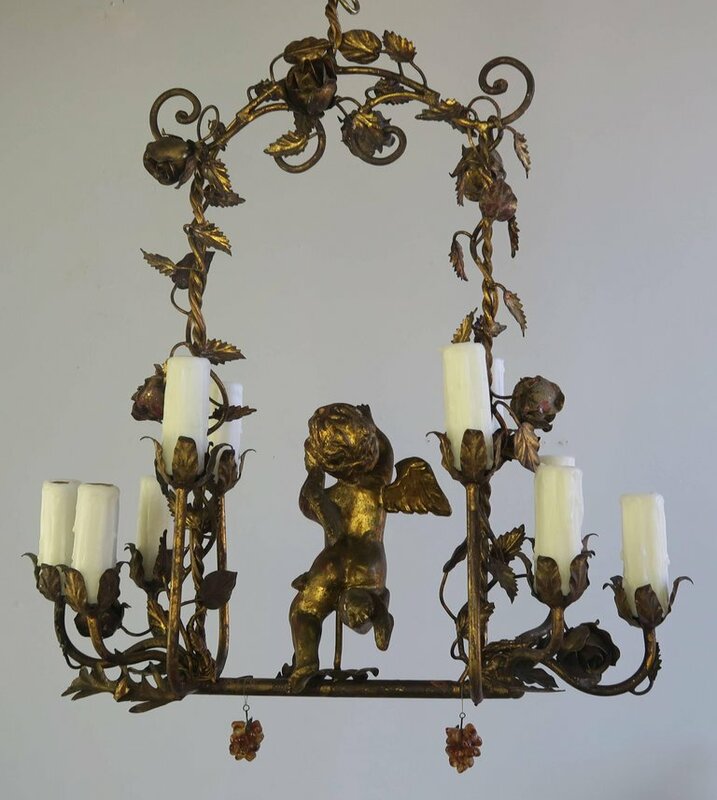 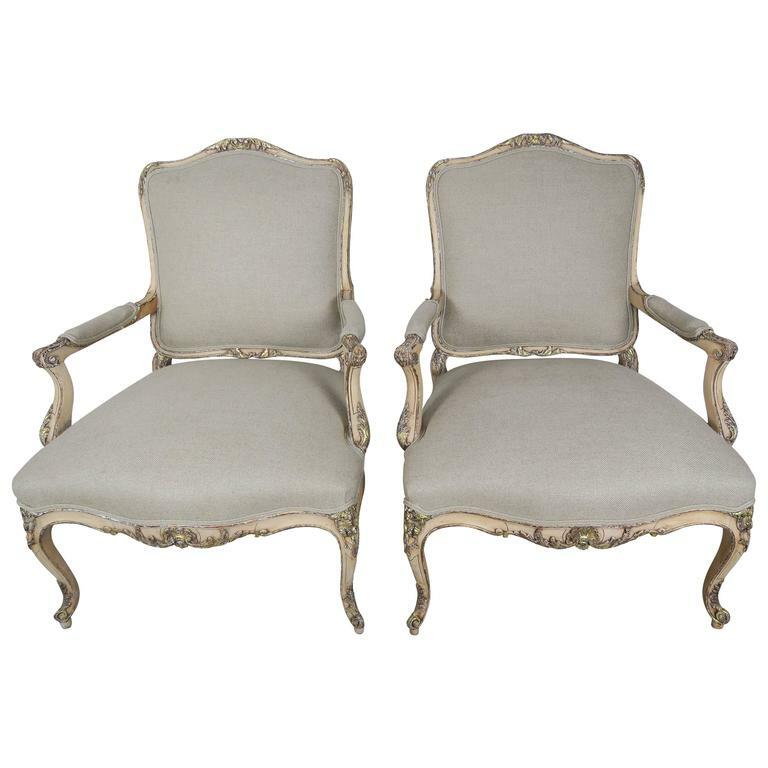 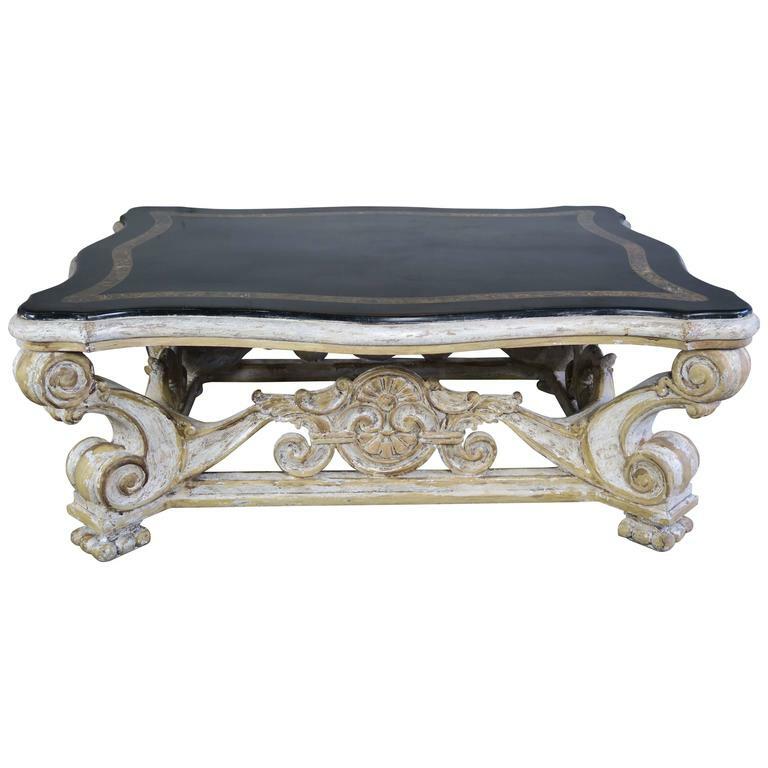 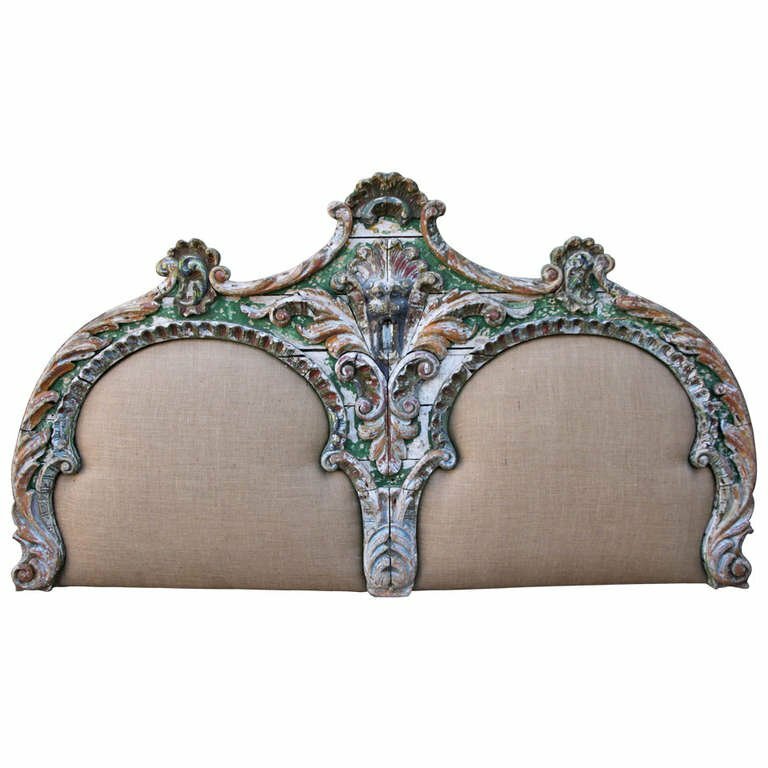 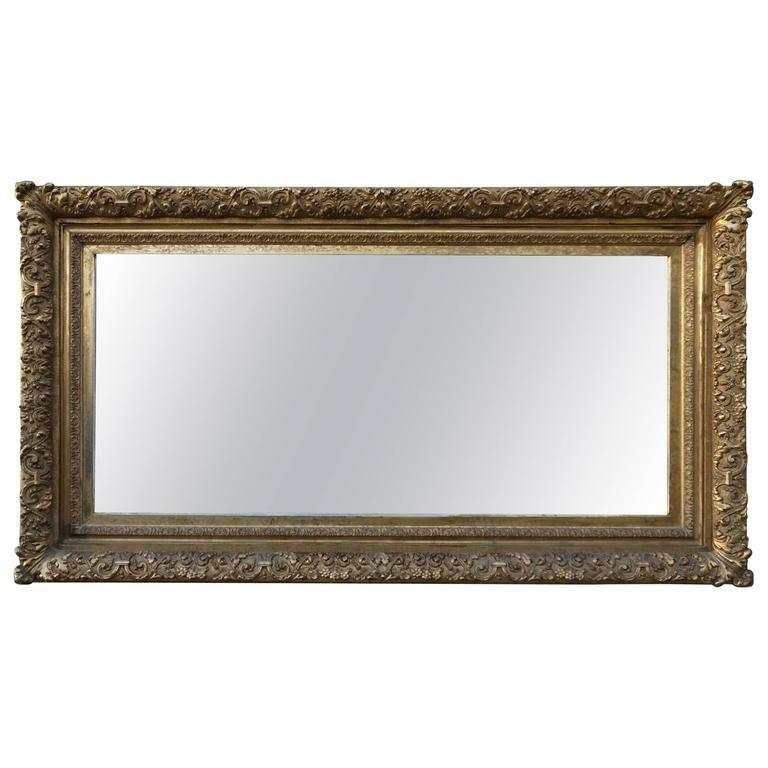 Fine gilt metal flowers and leaves make a beautiful arch over a giltwood cherub. 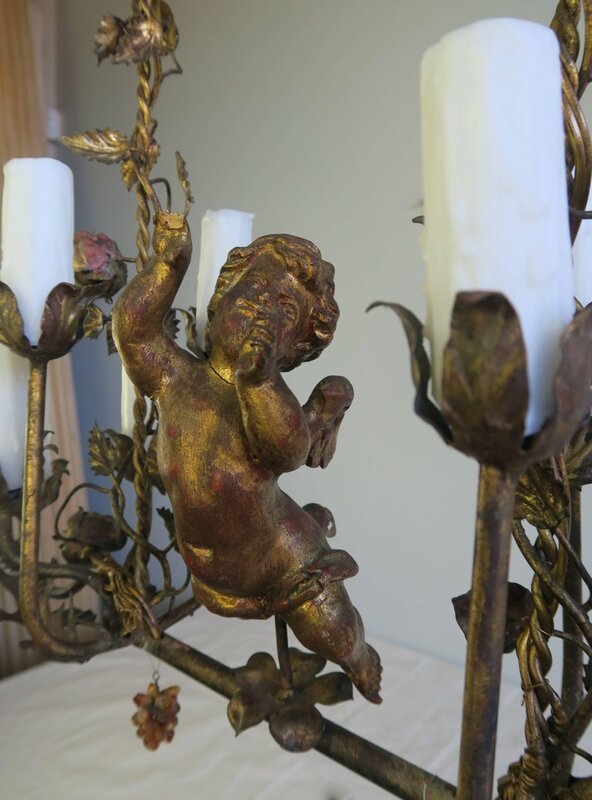 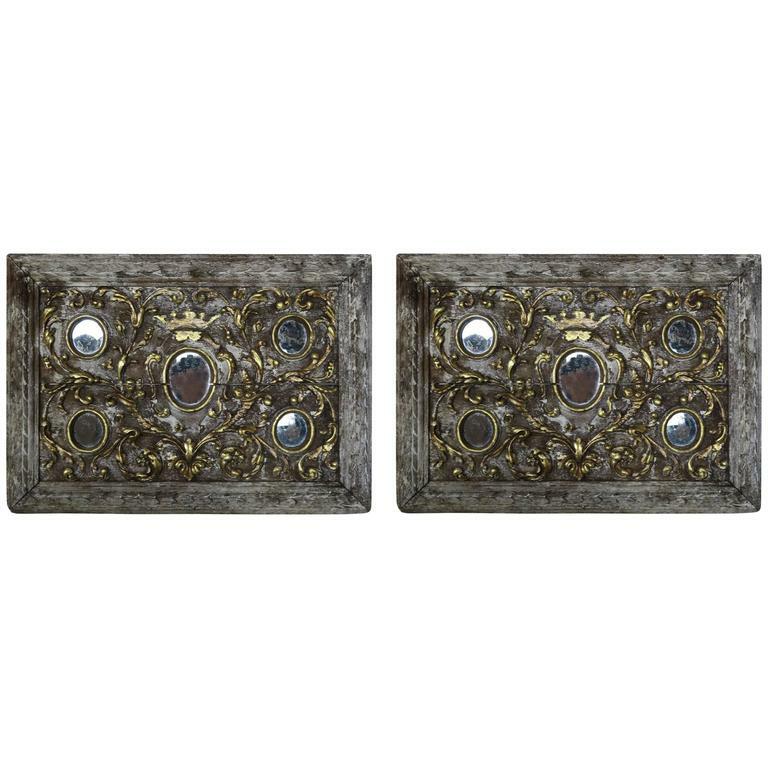 The fixture is newly wired with drip wax candle covers. 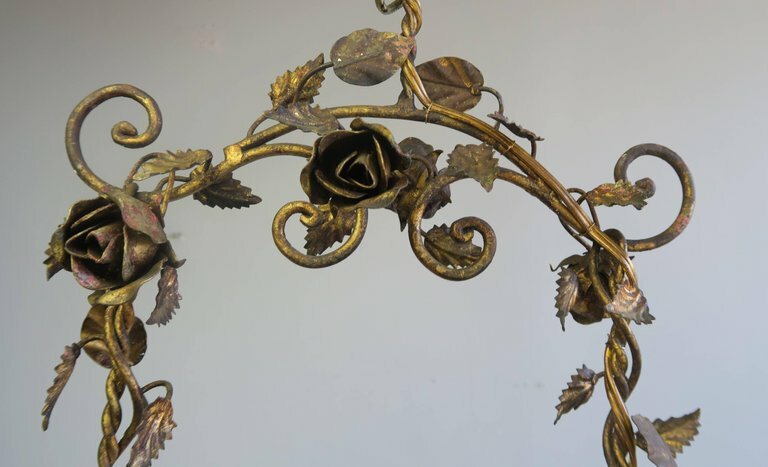 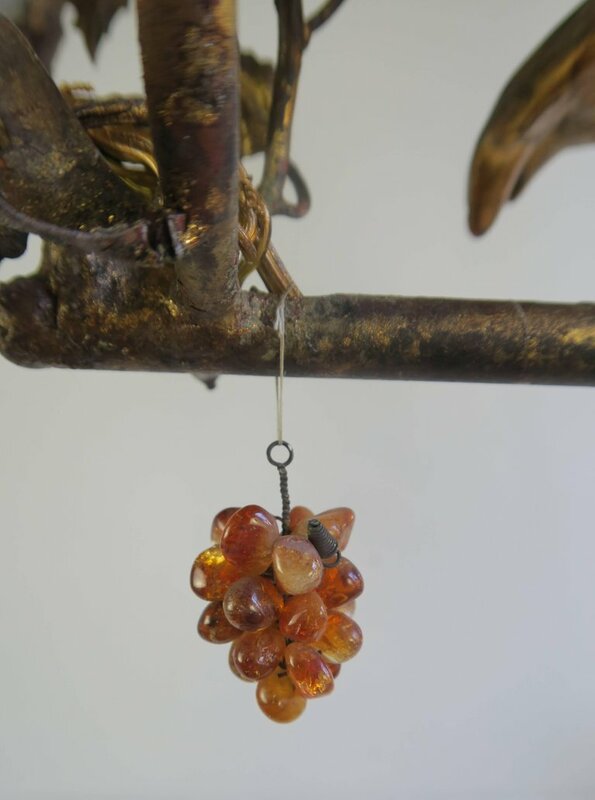 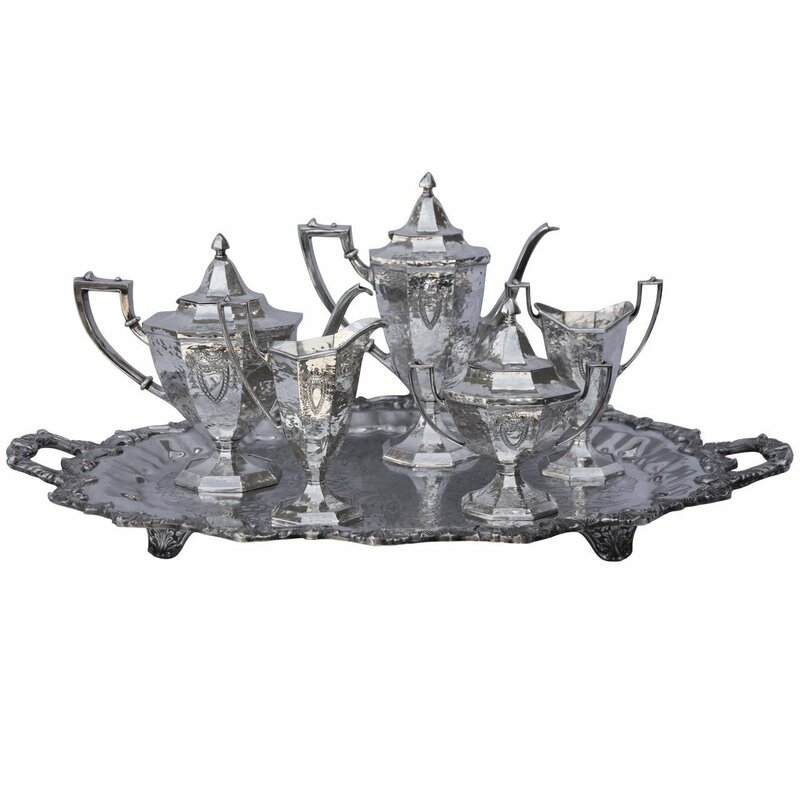 Includes chain and canopy.